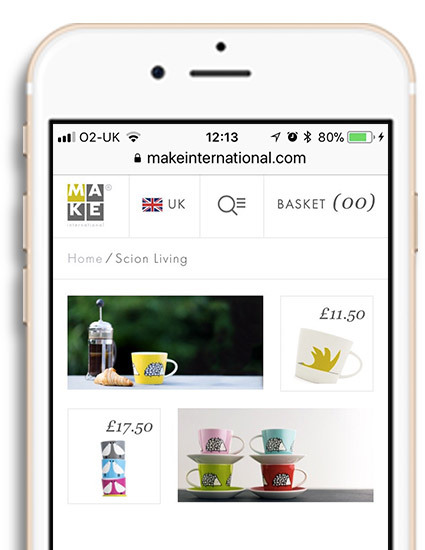 MAKE International make & sell a wide range of designer tableware & kitchenware. 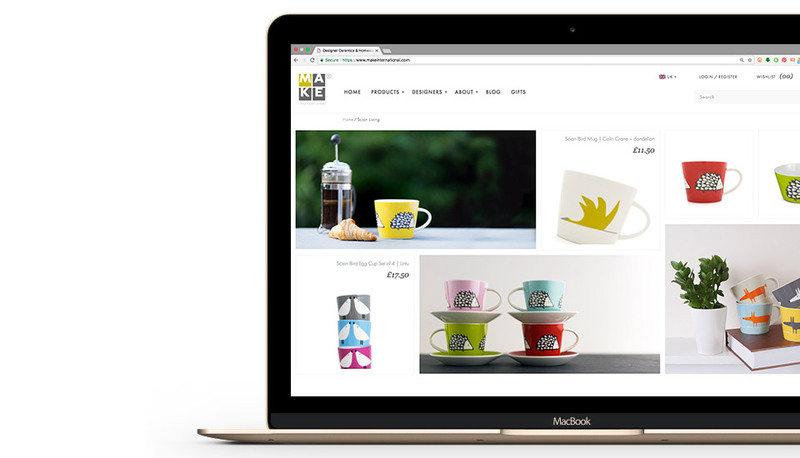 They collaborate with the UK’s leading designers to devise exceptional ceramic homeware, then they manufacture, wholesale & retail the products around the globe. Designs by Scion Living, Jane Foster, Sukie, Bert & Buoy and others sit amongst the products they distribute to stores around the world, from major chains like John Lewis to small independent boutiques. 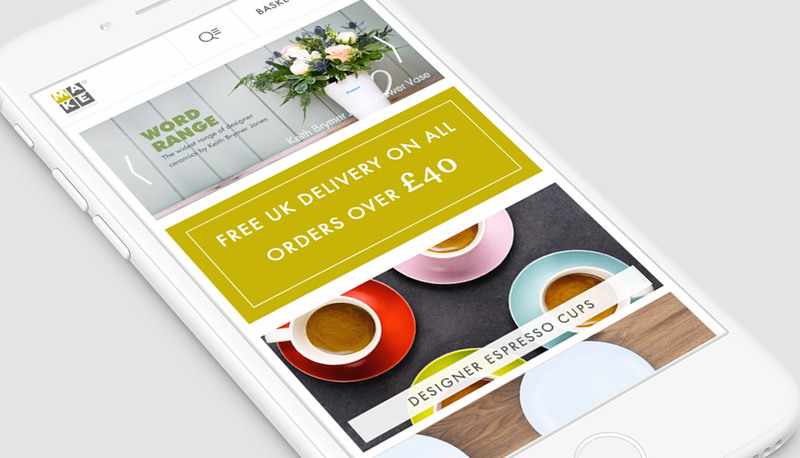 Narrative designed & built their eCommerce website & integrated it with Brightpearl. MAKE is a complex operation, with warehouses around the world delivering to wholesale & retail customers. They knew that they had outgrown their existing enterprise systems and that their legacy eCommerce platforms were expensive, unwieldy and required too much admin. Their plans for growth included a new website but, before that could begin, MAKE wanted t0 streamline their internal workflows. Narrative’s first task was to help Make International find an enterprise system to manage their sales, inventory, accounting & CRM that could be integrated into their multi-channel, global sales. Brightpearl offered the perfect solution. Once the back-office was taken care off, we could focus on the eCommerce and the enterpise integration that MAKE’s eCommerce required. Wholesale & retail customers need to be handled differently, so the eCommerce integration with Brightpearl had to be powerful enough to reflect that. Brightpearl handles all of the data so, once integrated, Narrative were free to concentrate on how to utilise it most effectively and present it in the most customer-centric way.